Porch Enclosures, Davidson, NC | G&S Contracting, Inc.
Our porch enclosures can be built to meet your desired specifications for your Davidson, NC property. Porch Enclosures in Davidson – It can be frustrating when you step outside to enjoy a moment of relaxation on your porch, only to be driven back inside by bugs, sun, rain, wind or any other number of irritations. At G&S Contracting, we are expert builders of porch enclosures and can build you the enclosure you need to be able to get the most enjoyment out of using your porch without all of the irritating extras. Our porch enclosures can be built to meet your desired specifications. Depending on what you are hoping to get from your enclosure, we can design a model to fit your needs. Some people are interested in some coverage from exposure and protection from bugs, but would still like to feel like they are experiencing the outdoors. We can build a type of screen room enclosure and use screens for protection, so you can enjoy the outdoor weather, but still get some indoor comforts. For more coverage, we have variations of aluminum frames with windows, so you are still somewhat indoors, but with a beautiful view. We can build a porch enclosure to simply fit around and protect your current porch, or we can expand the porch and turn it into an additional living space off of your house. The possibilities are endless! Porch enclosures are a great way to maximize usage of your outdoor space and give you an added luxurious way to enjoy your home. 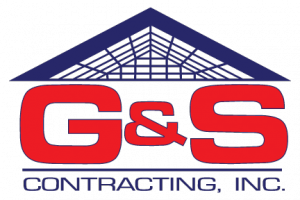 At G&S Contracting, we have been helping customers with their construction projects in Davidson, NC for 39 years and have become experts not only in custom construction, but also in helping customers figure out what they want. We have extremely attentive customer service and work hard to make sure you are completely satisfied with your construction project. We are eager to help you get started on your plans for a porch enclosure today! At G&S Contracting, Inc. we offer the highest quality Porch Enclosures to our customers in North Carolina including: Mooresville, Cornelius, Davidson, Huntersville, Charlotte, and Lake Norman, North Carolina.